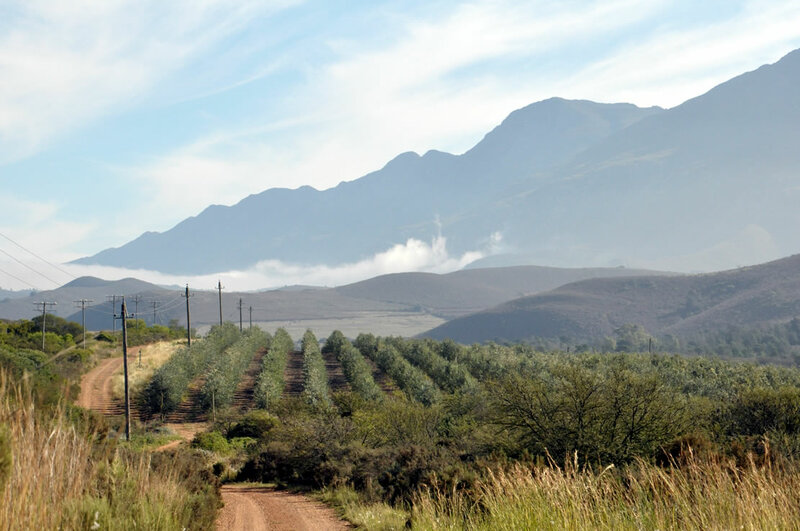 Fresh mountain water off the Langeberg Mountains, fertile Breede River Valley soil and a Mediterranean climate provide optimum conditions for our 50,000 olive trees to thrive happily. 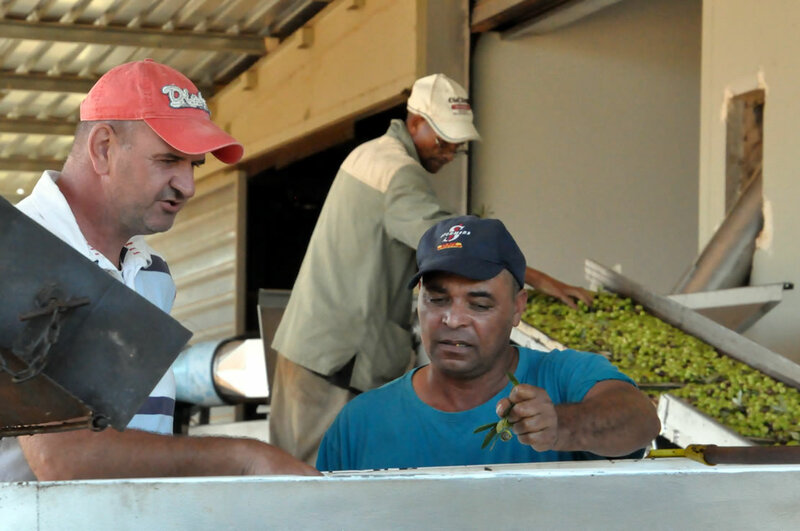 South Africa’s olive harvest season runs from April to June. 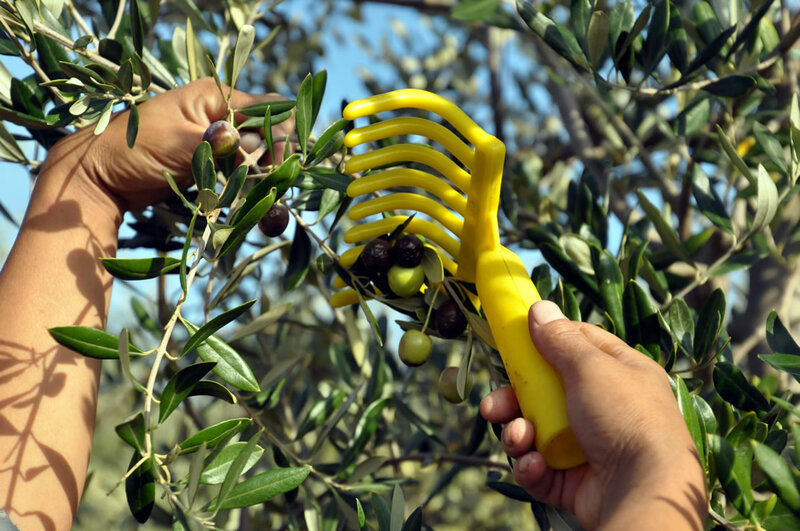 We believe in gently hand-picking our olives, collecting olives that fall to the ground in nets that are spread out underneath the trees. 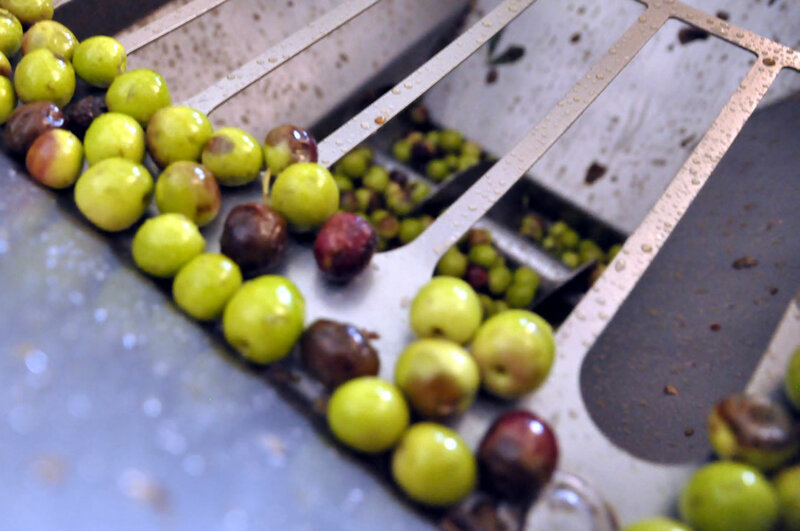 Leaves and small twigs are removed from the olives before transferring them to the processing plant. 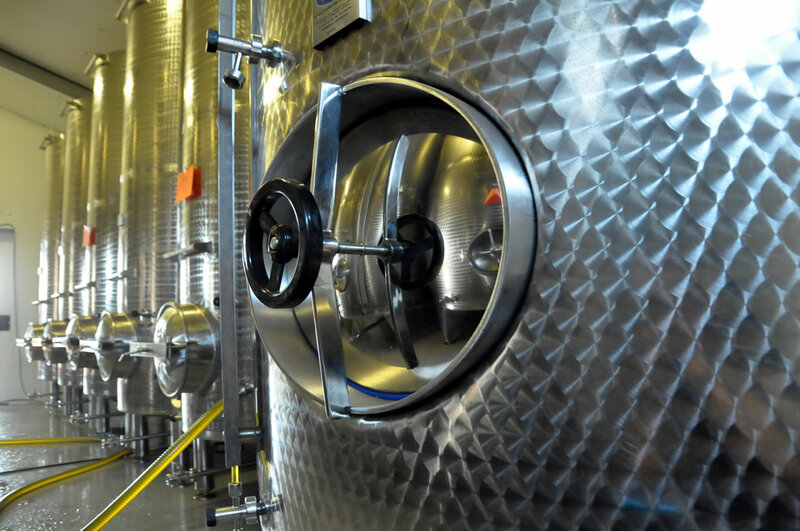 At the processing plant, olives undergo a diligent check and a good wash, while anything other than olives gets removed. 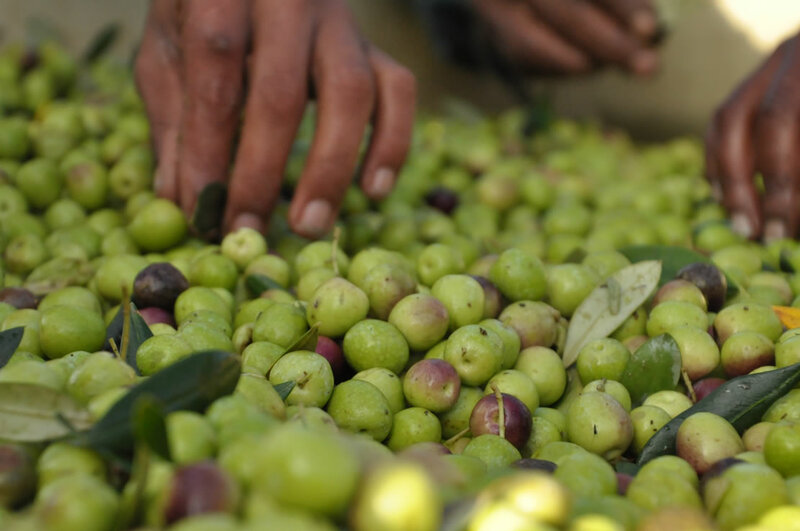 The olives are now ready to be crushed into a pulp that will form the basis for our oil. 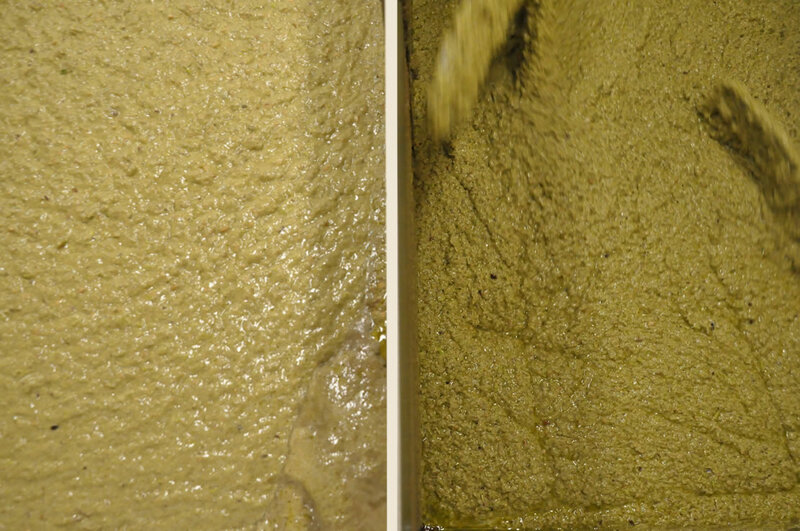 Once crushed, we stir the pulp to separate the oil from the olives and pits in the melaxer. Next up is the decanter, separating solids from liquids. 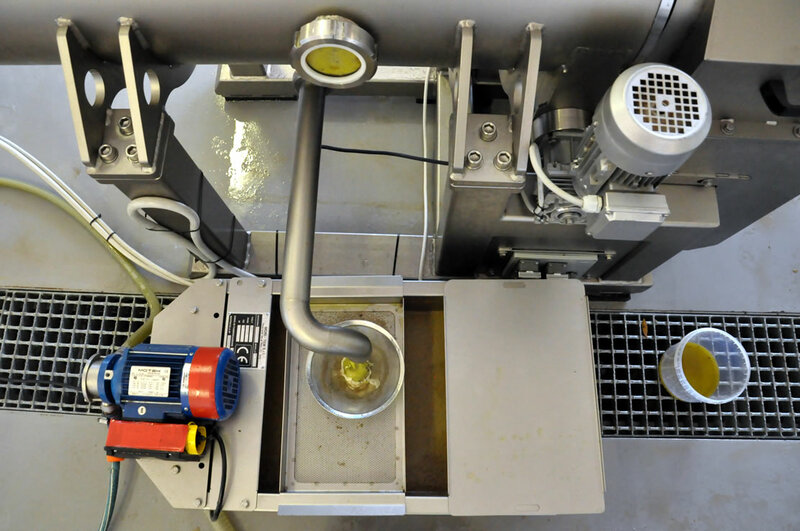 It is here that we are beginning to see and taste the first olive oil. 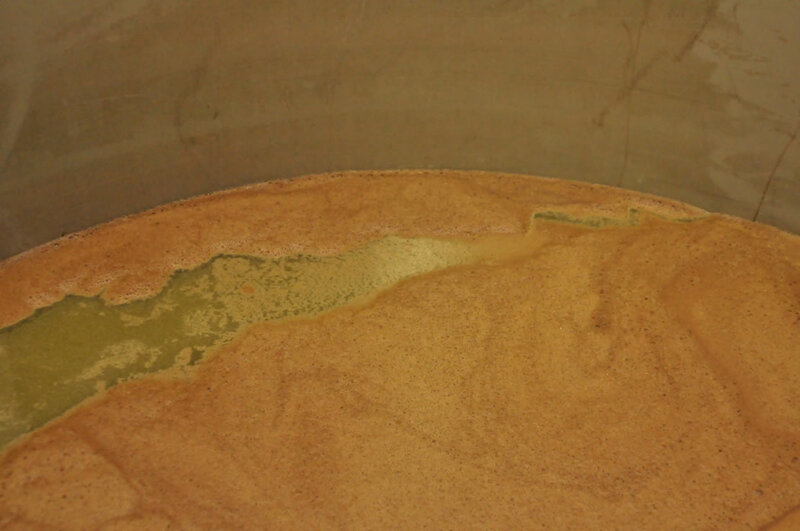 After decanting, we let the oil settle in a settling tank, to separate the last solids from the oil. When our olive oil maker deems the oil ready to be blended, he will taste every cultivar separately, and make a detailed taste analysis. Based on this analysis, he will add more or less of a particular cultivar to the final blend. 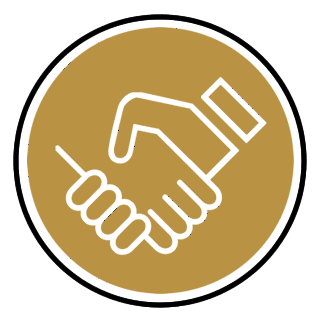 We don’t add any preservatives or additives to our oil. 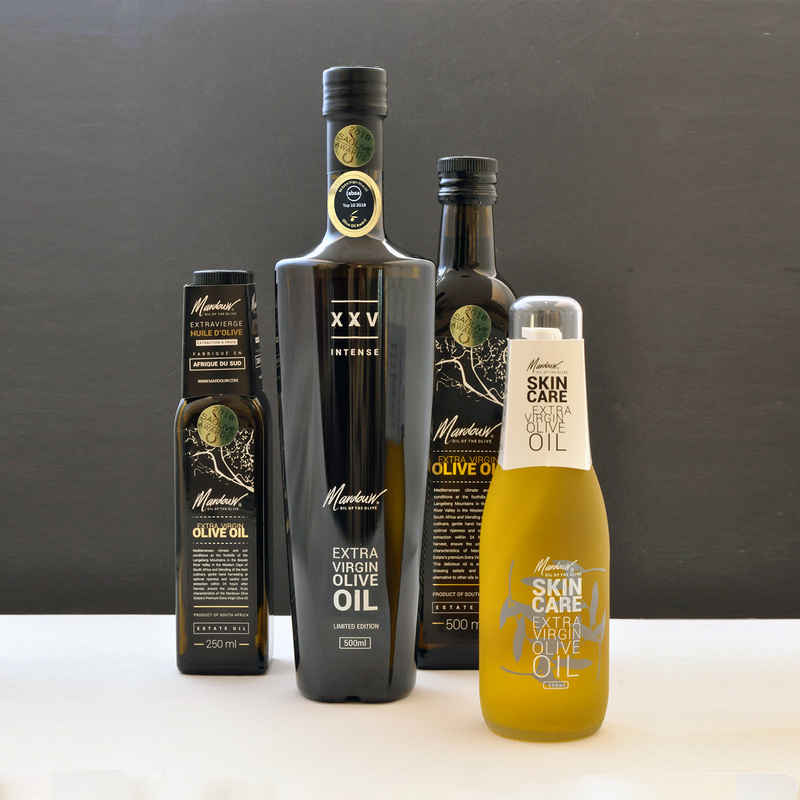 Our oil has a particular South African flavour with fynbos, pine needles, artichoke and fruit of green and ripe olives.